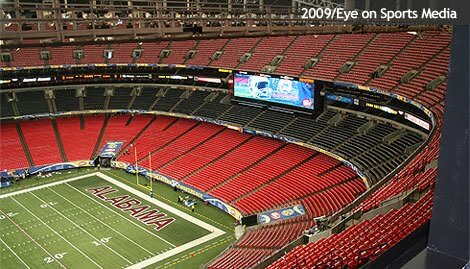 The doors of the Georgia Dome have opened to the public, but fans are not yet streaming in. 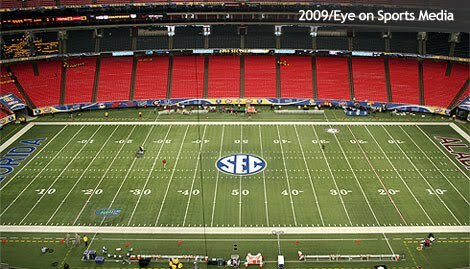 895 media credentials have been issued for the game, according to Tammy Wilson of the Southeastern Conference. SEC Network Play-by-Play man Dave Neal is getting ready to call the game on radio, while his former RAYCOM Sports colleague Dave "Buzz" Baker is taking a break after CBS College Sports Network's pre-game show. The media assistants have been briefed, while the working media are enjoying a free pre-game meal (a vanishing practice these days). 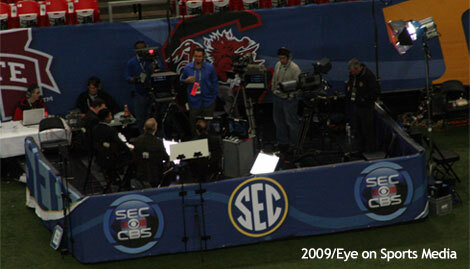 CBS Sports staff are getting ready with rehearsals and run throughs. And that is just the tip of the iceberg. 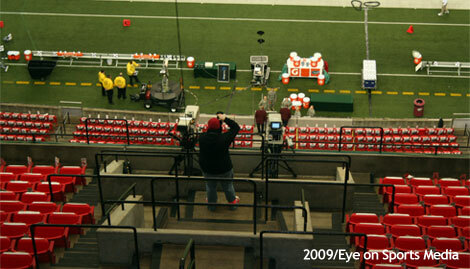 Fox Sports has their production trucks in place for tomorrows Philadelphia Eagles - Atlanta Falcons broadcast. I was hoping to catch up with Kenny Albert today, but he replied by email that he will not be at the game site until tomorrow. What am I doing here? I will be the spotter for Fox Sports Florida/Sun Sports tape-delay for the broadcast. 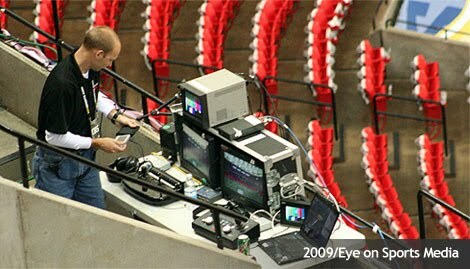 As soon as I get off of here, I will head upstairs to the rafters to work with their crew. Game time is 4:00 PM ET on CBS Sports, and streamed live at CBSSports.com. 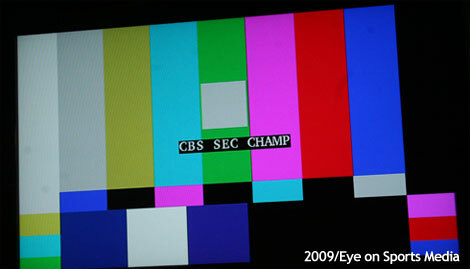 As soon as the game is over, I will be hustling back to Athens as I have an 8:30 AM crew call for Comcast Sports Southeast's (CSS) broadcast of the women's basketball game between the 13th-ranked University of Georgia (7-0) against ACC arch-rival Georgia Tech (5-1). That game time is 2:30 PM ET on CSS. 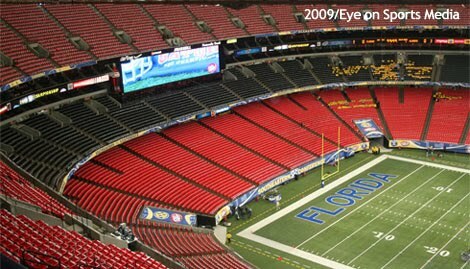 In the meantime, here are some behind the scenes pictures from the Georgia Dome. See you all on the flipside tomorrow night.